Every now and then, there comes a moment when you have realised you have misspelled your Instagram caption or want to completely change it. If you have messed up a caption of a post you’ve just made – no worries! Fixing it is super easy. Back in the days, the only solution to this was either to let the post be and flaunt your mistake to the world that in some cases made you look like a fool. The second option was to delete the image you’ve posted. Of course, none of these options sound attractive and thankfully, those days are over where you had to choose between deleting your post or letting it be. 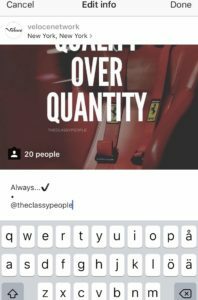 Now, you can edit and change your captions on Instagram as much as you’d like after a post has been made. There is no restrictions to when you can edit your captions. You can do it one minute after you’ve posted it, one hour or even one year. This feature is a very welcomed such as there is no need for deleting images and reposting them anymore. In this article, you’ll learn how to edit/delete your Instagram caption. Step-by-step. 1. Start by launching the Instagram app. 2. Go to the post you want to edit the caption on by tapping the profile image in the bottom right corner, then scrolling to the image you’d like to edit the caption of. 7. A keyboard will appear, letting you edit or completely delete the existing caption. 8. When you are done editing, simply tap “Done” in the top-right corner. 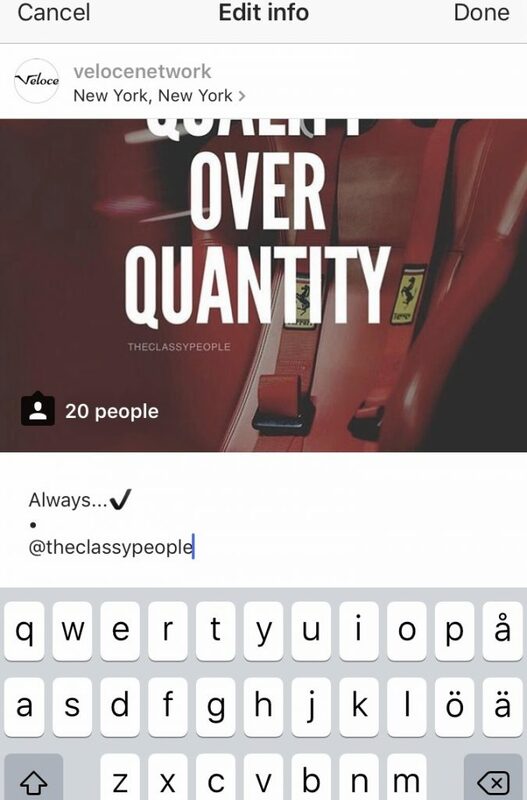 Apart from having the possibility of editing the caption, you can also add location data to your post and tag/remove people you’ve tagged in your post.